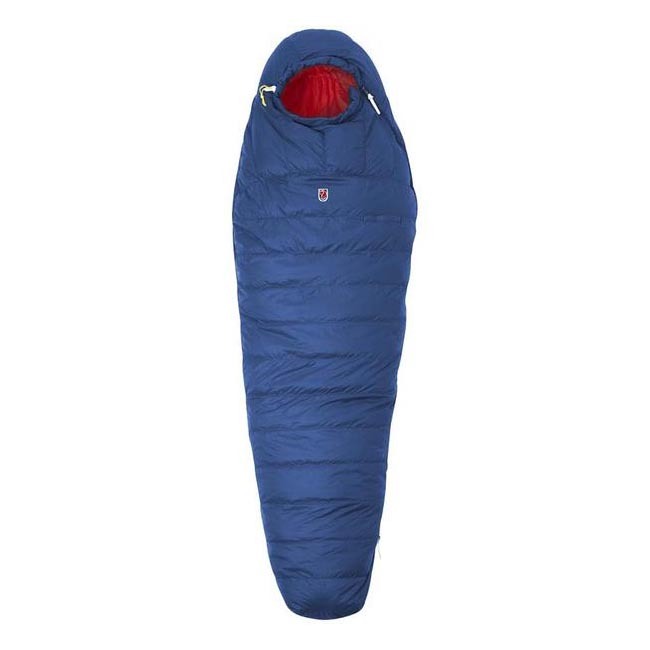 Lightweight, convenient down sleeping bag that is very warm and can be compressed to a very small volume. Shorter in length and cut slightly wider around the hips, it is adapted to the body shape of a woman. Perfect for use in the spring and summer with a comfort temperature (women) of +7℃ (men +2℃). Padded with high quality down that has been distributed for optimal insulation, with extra down on top and in the sections covering the body's core and feet. 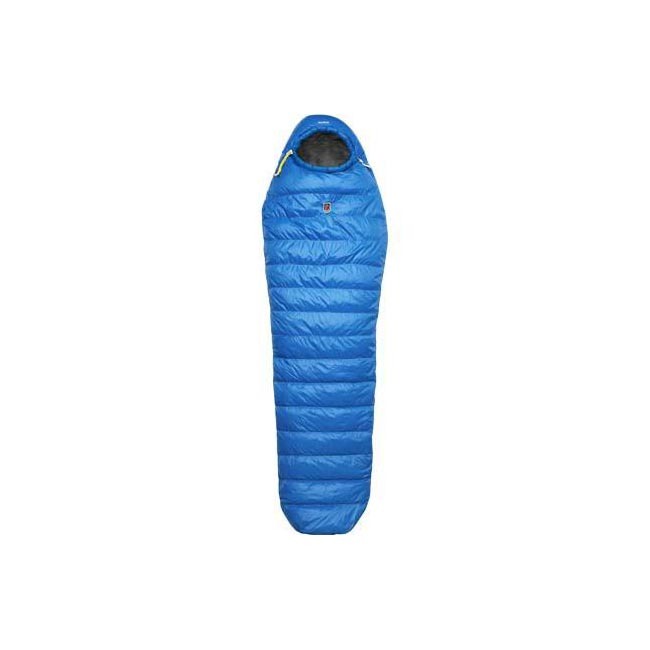 The head section is very warm and has a down-padded thermal collar with a drawcord adjustment that traps the heat inside the sleeping bag. 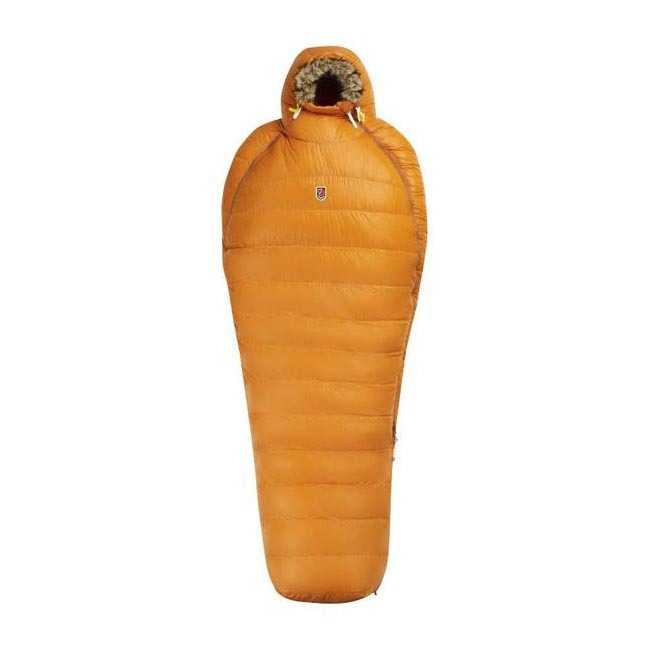 Full-length, two-way zipper provides easy ventilation and double, down-padded flaps along the opening stop cold drafts. The flaps have a band that prevents the zipper from snagging. Easy-to-handle zipper pulls and leather drawcord adjustments. A small zippered pocket on the outside for small items you want within close reach. Large foot box provides plenty of space for your feet. Eyelets at the feet for convenient storage. Pack bag with compression strap included. Comfort temperature (women) of +7℃ (men +2°C). Fits individuals up to 195 cm tall. 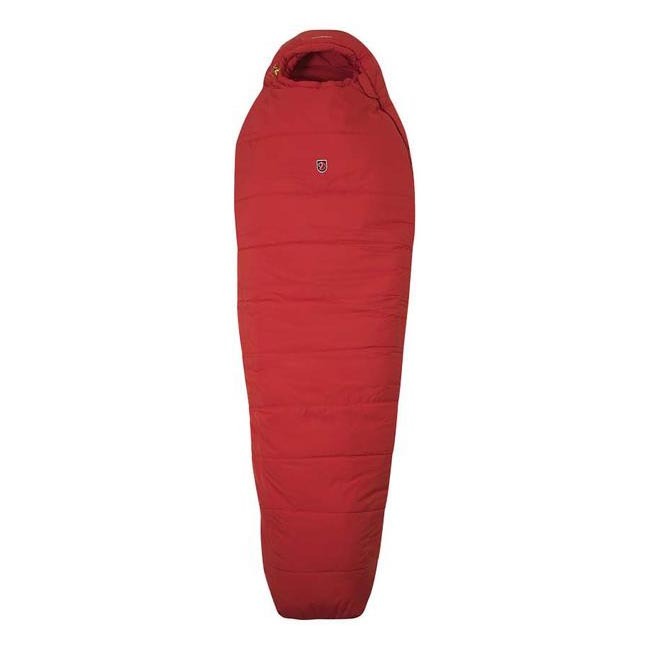 Lightweight down sleeping bag with great insulation and high compressibility.